The yellow gold example of the Calibre 89 will go under the hammer at Sotheby's Geneva auction in May 2017. Introduced in 1989 for Patek Philippe’s 150th anniversary, the Calibre 89 was a landmark in watchmaking, becoming the most complicated watch (or rather portable timekeeper) ever made, boasting 33 complications. Though the Calibre has since been superseded by the Vacheron Constantin Ref. 57260 with 57 complications, the Calibre 89 held the record for so long it’s significantly more well known. Originally produced as a set of four watches, one each in white, yellow and rose gold, as well as platinum, the quartet of Calibre 89s were originally said to have been bought by Prince Jefri, the Sultan of Brunei’s spendthrift brother. After the the Prince’s investment empire collapsed under a mountain of debt in the late 1990s, many of his possessions were sold, including much of his epic watch collection. The set was subsequently split up, with each watch changing hands several times. Two notable public instances of examples being sold was when the white gold version sold for SFr6.6m in April 2004 and the yellow gold for SFr5.1m in November 2009, both having been sold at Antiquorum. That being said, the Calibre 89 in yellow gold seems to have a hard time finding a buyer of late. 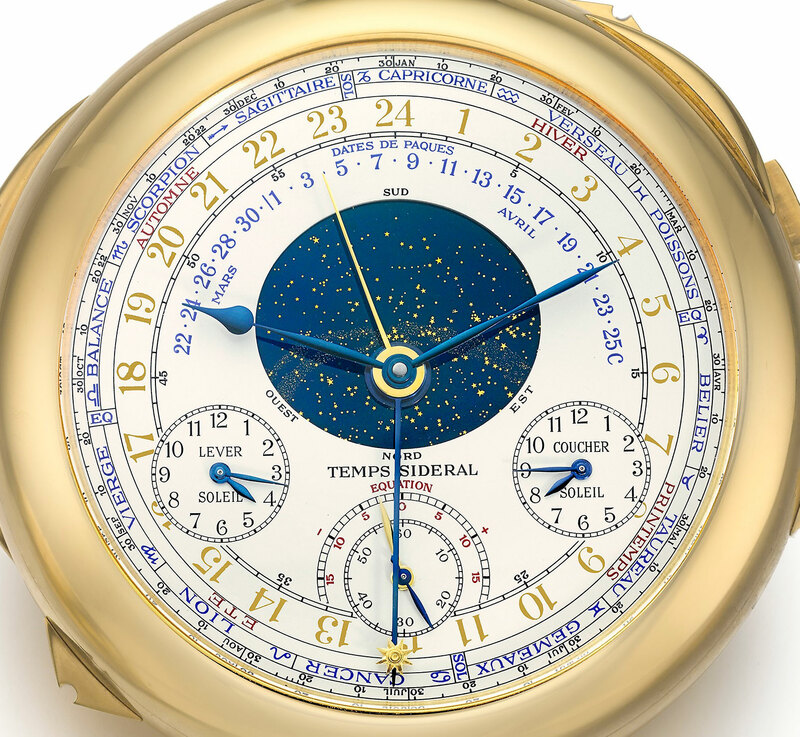 Having been shopped around privately for some time – most recently it was offered last year by Christie’s via private treaty for over US$10m though offers were being taken – the watch is now part of Sotheby’s upcoming Important Watches auction in Geneva, the same sale where the Henry Graves Supercomplication sold for US$24m in 2014. Estimated at US$6.4m to US$9.9m (SFr6.5m to SFr10m), the Calibre 89 weighs 1.1kg, or about 2.4lbs, and measures 88.2mm in diameter. A total of 1728 parts make up the entire watch, including an astonishing 24 hands and 332 screws. It will be exhibited in Dubai from March 13 to 18, followed by Hong Kong from March 31 to April 4. Then it will be sold on May 14, 2017 at Sotheby’s sale room inside the Mandarin Oriental Geneva. 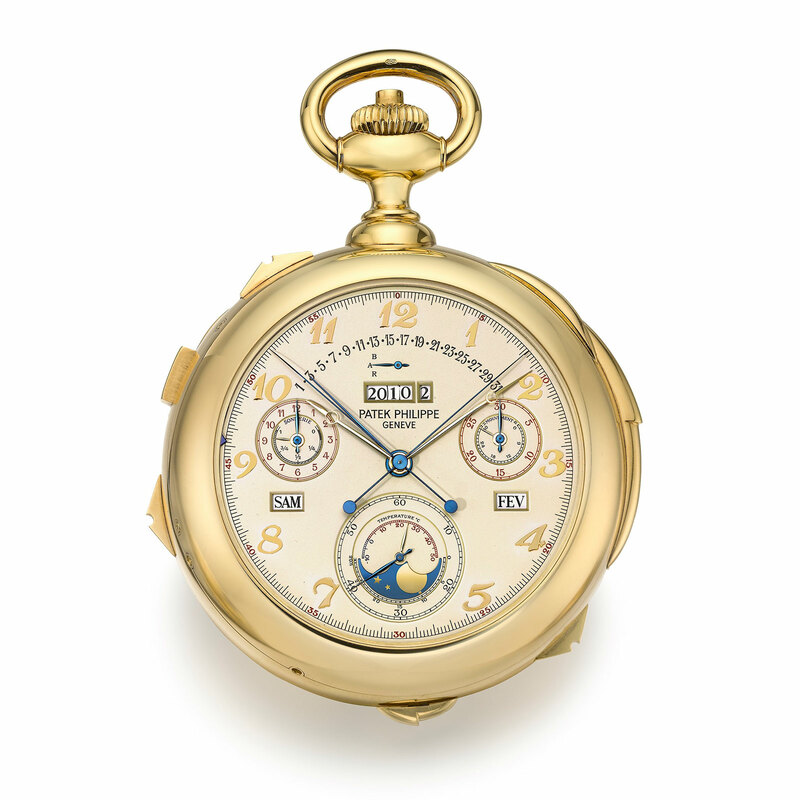 A Patek Philippe 2499 third series in pink gold sells for a record-setting US$2.54m at Phillips in Hong Kong, while Eric Clapton's Patek 5004 fetches over US$800,000.